12 years ago today, Aaron Kreifels was riding his bike through a field in Wyoming. He wasn’t expecting that day to be any different from any other beautiful sunny afternoon in the vast plains surrounding Laramie, but that day would change many lives. Aaron spotted what he initially thought was a scarecrow next to a fence, when he noticed a glisten of blood. The sun sparked on what he barely recognized as a face. 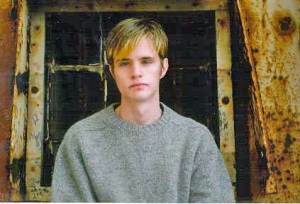 It was then he discovered the 22 year-old Matthew Shepard, clinging to life. Most of you know what happened next, Matthew held on for five more days while vigils were held and as his parents held his hand and prayed. 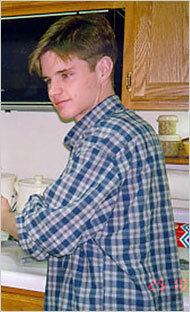 Matthew slipped away quietly on October 12th, leaving in his wake a new movement for equality. But overwhelmingly what you saw in 1998 was a community ready to act, ready to change something. And Matthew’s story was the catalyst for that. Many of you have seen or read the Moises Kaufman play, The Laramie Project – Matthew’s story as told through interviews of those who were living in Laramie at the time – some of his friends and some who just happened to be riding a bike through the plains of Wyoming that day. If we think of nothing else today, please consider the importance of telling your story – how your story can change the world around you. This young boy, unbeknownst to him, has changed the world with his story.